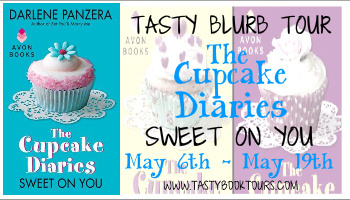 Fans of Debbie Macomber will love THE CUPCAKE DIARIES: Sweet on You, the first in the new and exciting three-book romantic comedy, by Darlene Panzera. 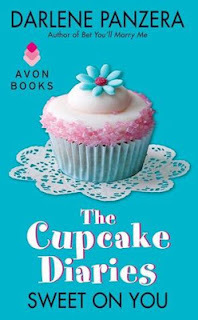 Set in the small seaport town of Astoria, Oregon, Sweet on You begins the delicious and charming mini-series with Andi Burke’s adventure through love and cupcakes. Sisters Andi and Kim, along with best friend Rachel, haven’t had the best luck in recent months: unemployment, divorce, and heartbreak. After so many disappointments, what can the trio do to change things around? Open up a much needed gourmet cupcake shop of course! Andi has always had a dream—a kitchen big enough to bake and dance in, while still being able to support her dear daughter Mia, and hopefully find true love (one day). Could opening up a cupcake shop make it all a reality? Together, the best friends are determined to open up Creative Cupcakes. But, with no business experience or money to finance the project it seems their dream won’t come true. Until, Jake Hartman, the hunky Astoria Sun reporter, offers to partner up with them. Trying to hold it together as a single mom hasn’t been easy, and the thought of dating hasn’t crossed Andi’s mind since her divorce. But, the way Jake keeps looking at her might change her mind. After all, what could go wrong? Plenty! There's a shady tattoo parlor behind their shop and a crowd of crazy Zumba dancers out front—ready to ruin them. The trio is forced to think quick to counter the attacks from Zumba fanatic Pat, while still finding a way to bring in business. It seems the only thing that’s going right is Andi's blooming romance with Jake. As if things weren’t hard enough, Jake’s media crew captures a story that could shut them both down forever. 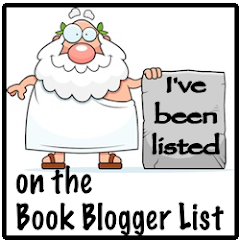 Thank you for featuring me on your blog today!